Hi everyone! Happy weekend. How are you doing loves? I'm really having a hard time with my internet connection lately so I haven't updated le blog, so I will just start scheduling posts just in case I won't be able to update on a daily basis. 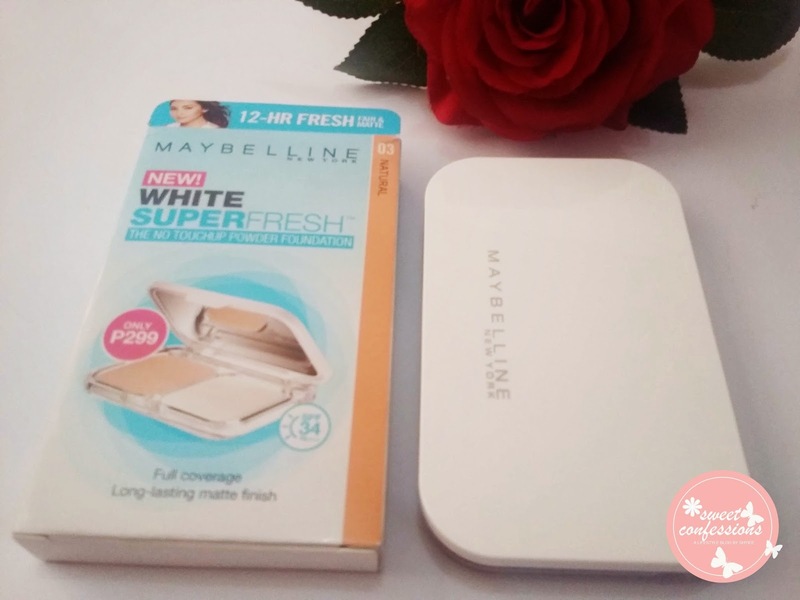 So for today, I will be sharing with you, my sweet confession about Maybelline Super Fresh Powder Foundation in Natural 03. I already hit the pan of my Pixy UV Whitening Two Way Cake in Ivory and I'm looking for another good foundation to try. I was strolling in Watsons Eastwood and I was supposed to buy one of my favorite two way cake foundation (Nichido) when I stumbled upon this latest beauty craze. 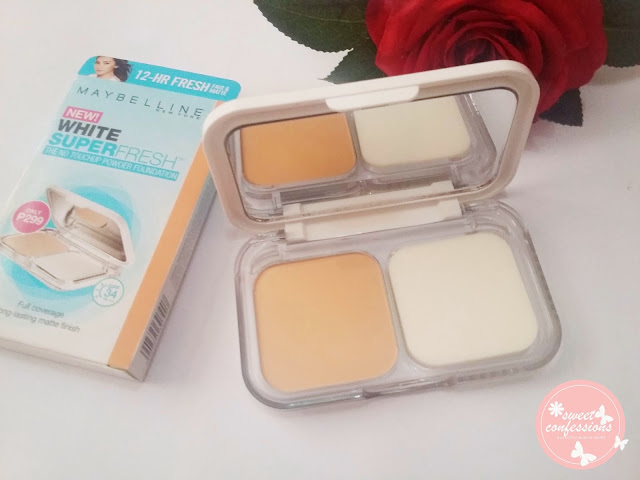 I wasn't able to go to the Maybelline SuperFresh event few weeks ago since my schedule did not permit, but I was already curious about what this compact really does. 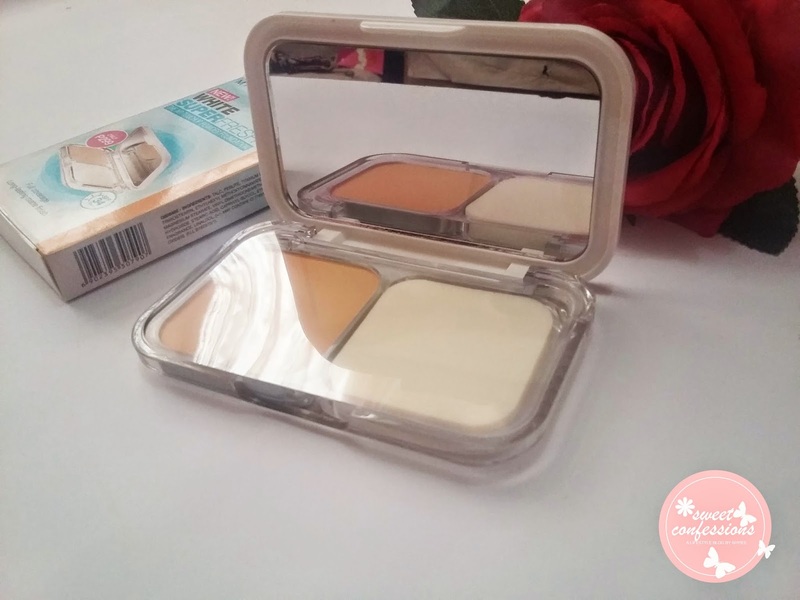 I like the sleek and elegant compact which will make you think it's a compact powder with glass container. It doesn't look cheap in any sense and you wouldn't realize that it's only Php299. The mirror on the cover part is large and is very clear! I can even see my pores. Jk. The powder itself is on the left part of the clear container, and sponge on the right part. The sponge is stiff, just like any other Maybelline foundation sponges I've bought. I personally don't like the sponge since it tends to break when smudged thoroughly. 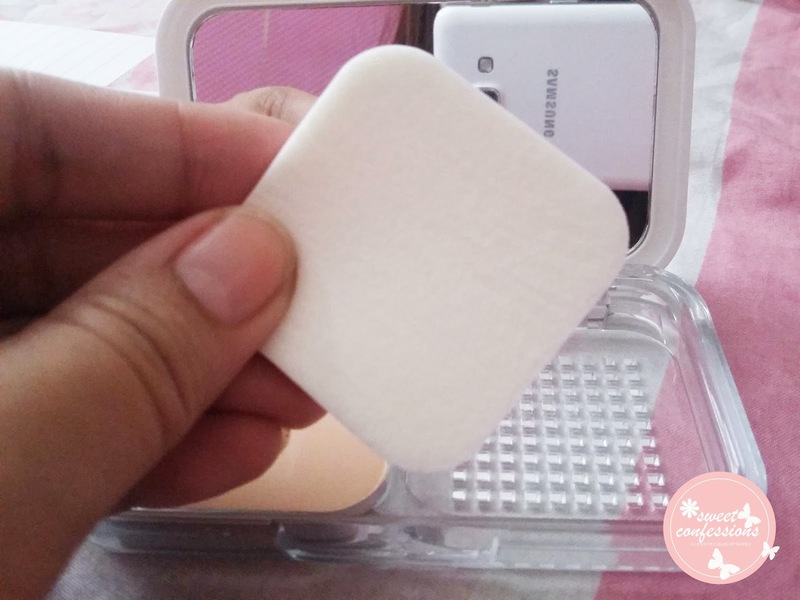 You need to wash your sponge after use if you wise, so that you wouldn't have break outs. 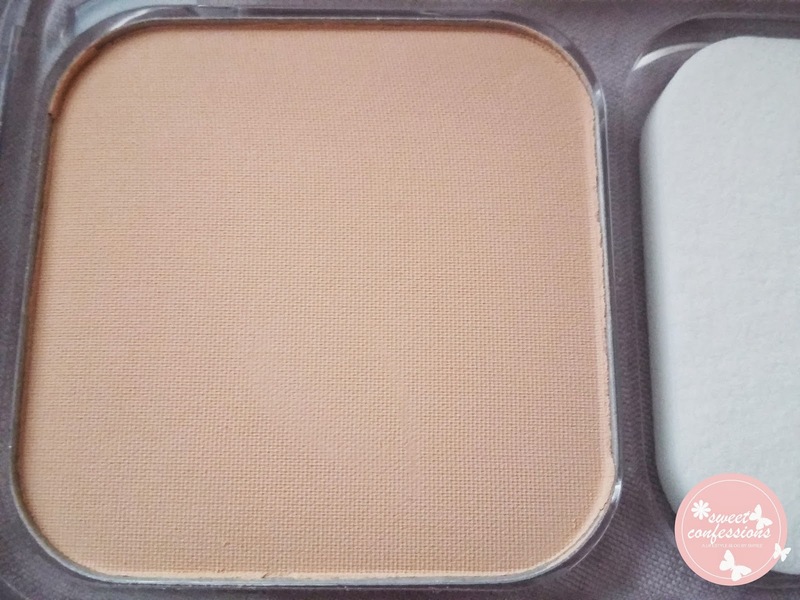 I like that it has a matte finish, and gives even coverage (light to medium) to my face. I think this one works best for oily and combination skin. The base has a little punch hole if you want to refill your compact. Though it doesn't really cover all of your blemishes (which you really want to hide), it still gives a fine finish when applied. 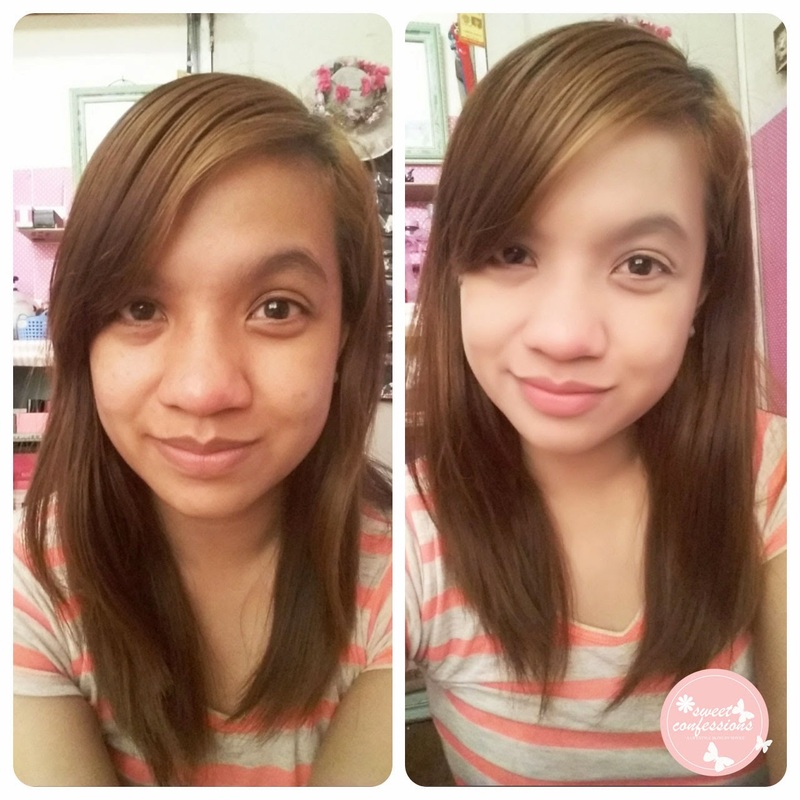 I bought the Natural 03 shade and I must say that it suits me. Finally, I purchased the right shade! I always go wrong with getting the right shades for me so I end up not using or giving it away. Good thing I might use this until I hit the pan! 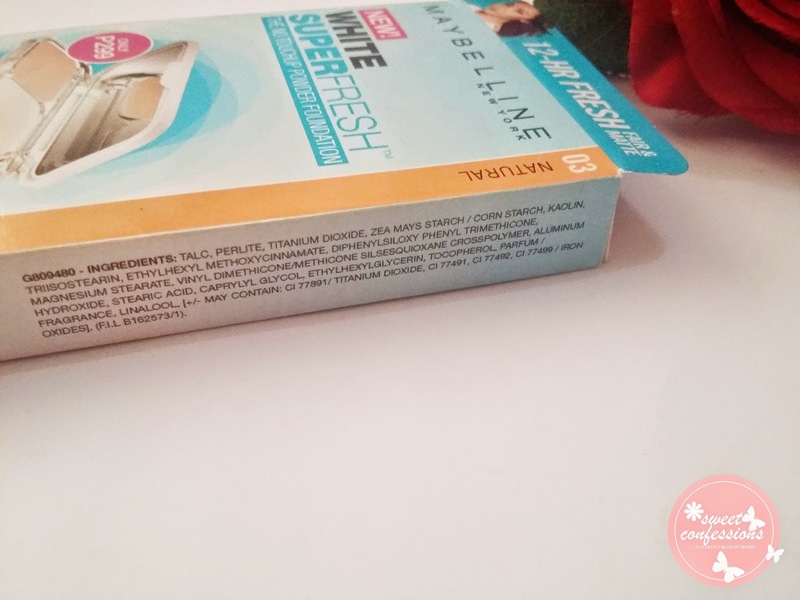 Actually, everything you need to know about the product is printed on the box, so it would be convenient for you if you love to read stuffs on beauty products' packaging. I love to do retouching in the office whenever I feel like retouching because I don't like the feels of having oily skin. On the first day that I tried this product, I'm really tempted to do retouches, but I controlled myself just to see how it really works, or if it does last for 12-hours. Excuse my blemished face, HAHA! perfect match to you..looks good..